Snail mail that isn't a bill, a debt consolidation or credit card offer, or a poorly designed direct mailer for a political candidate or telecom provider is rare. Well designed pieces, catalogs from one's favorite brands, and packages stand out as treasures. In today's highly visual world, carefully thought out goodie boxes find themselves in multiple social feeds. 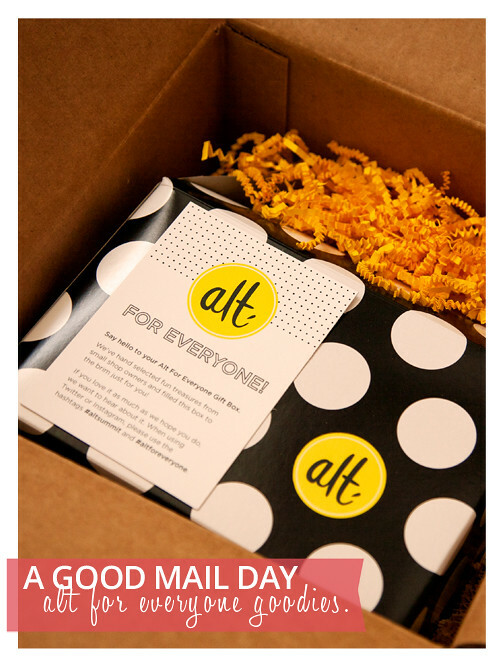 Take some tips from Alt's goodie boxes to create a memorable, sharable package. What's your secret to a standout package? Most industry events and conferences come with a bag filled with goodies and marketing materials from sponsors. Some events, like Alt Summit, BlogShop, and weddings for out of town guests, have elevated this simple bag into an art form. 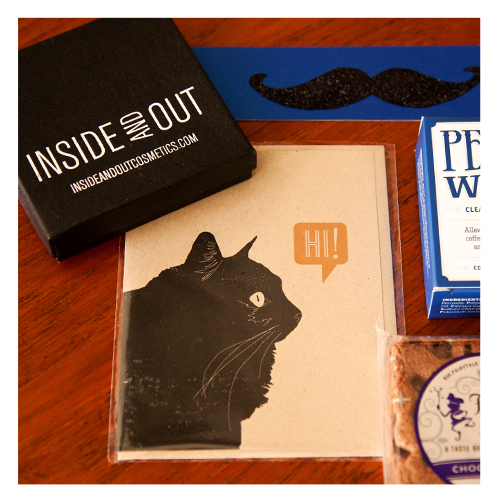 This time last year, I shared Goodie bags from BlogShop SF and from Alt for Everyone. Below I share the Goodie Box from this past weekend's Alt for Everyone. Select items from a similar color palette. Include a pretty notepad and writing utensil. Many participants still take notes by hand. If you've organized your event with rows of tables simple, beautiful notebooks will make for a nice backdrop to your engaged participants. 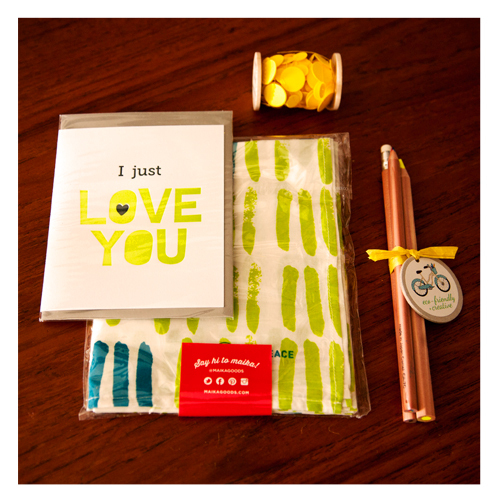 Add a card or two for recipients to send to loved ones or friends. At my first Alt Summit in 2013, a sponsor, Vivint, and a fellow participant gave postcards for capturing how we were feeling. They made it super easy for us by affixing a stamp so that all we had to do was fill the card out and drop it off at the front desk of the hotel. Share a sweet treat and/or drink. Pack a treat or two that can be easily tucked into a purse or a bag. Often at a conference or an event, many participants are rushing to the event venue straight from the airport. A treat and a drink ensure that participants won't be parched or hungry. 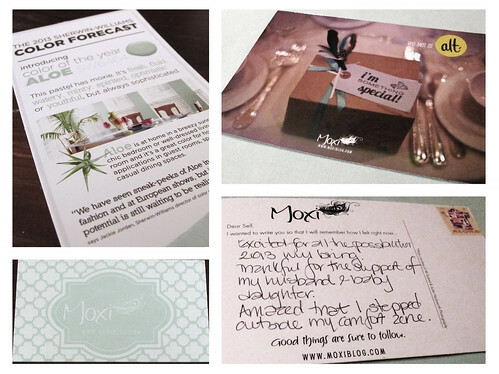 Make it easy for recipients to acknowledge brands they like. How frustrating is it to get an item and not know who made it or where you can go to see the rest of their products? 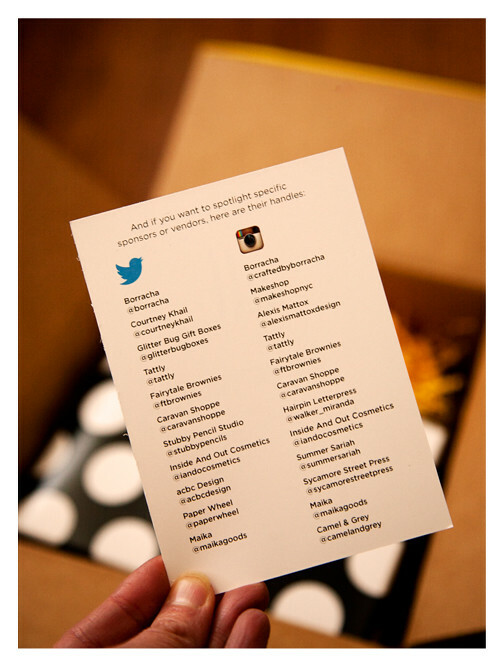 Include a simple card listing popular social media profiles for the enclosed products. For items that are significant to the event (or to the couple if in a out of town guest bag for a wedding), share a brief note about why they're important. If you have a hashtag or hashtags for your event mention those as well. In just over a month, The Road to The Good Life, is going to turn eight (June 17th). I can't believe how far this site has come since then: first a photography and Photoshop tip blog with little to no photography, then almost exclusively photography (a simple image with a quote or few sentences), to a mix of prose and photography spanning Home, Food, Family, Fashion, Making, and Work. Between now and June 17th, we'll be taking a look back, at the good and the ugly. And, there may even be a giveaway or two. In the meantime, tell me, when did you first start reading The Road to The Good Life? What have you liked and disliked? What do you like/dislike about The Road to The Good Life?